Following increasing economic strain and political instability over the past few months in Central Asia nearby an already-turbulent Afghanistan, the United States has announced its plans to allot $50 million more to its Counterterrorism Partnerships Fund (CTPF) in order to help stabilize the region. The CTPF was established in 2014 by the Pentagon and aims at training militaries around the world to counter the threats of terrorism and extreme violence, but has not funded this region until this year. Funding will begin with $20 million this year should Congress approve, and $30 million next year, with the majority going to the tumbling nation of Tajikistan. A January 2016 International Crisis Group report detailed that Tajikistan, in particular, is the poorest state in the region of Central Asia, as its government is both corrupt and bankrupt. Russia's own economic troubles have cast a large shadow upon the land, as 40% of Tajikistan's GDP stems from Tajik migrants' remittances from Russia. Hundreds of thousands of Tajik migrants are having to return to Tajikistan in the midst of such turmoil, which contributes to the tense climate and makes it easier for radical terror groups to use their ideologies to recruit. 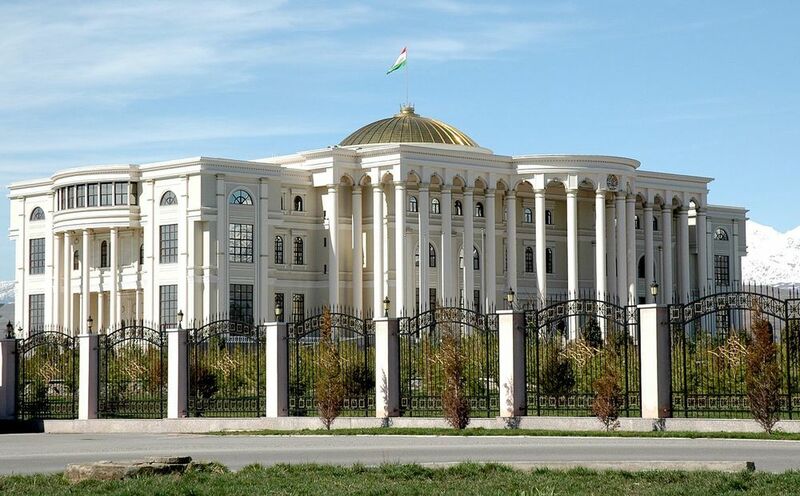 In September 2015, Tajikistan's President Emomali Rahmon struck down the only opposition party to his government, known as the Islamic Renaissance Party of Tajikistan (IRPT). The IRPT was considered moderate despite being coined a "terrorist organization" by Rahmon, and the US has issued its numerous concerns over the anti-IRPT activity at the hand of the Tajik leader, especially considering the aims of the Pentagon's CTPF funds. This occurred a few months after the head of the Special Assignment Police Unit (OMON) in Tajikistan, General Gulmurod Khalimov, defected to ISIS in May 2015, following a trend of Central Asians joining the ranks of the terror group as their home countries struggle. The 1997 peace treaty that has held the country together for the past two decades after a "brutal" five-year-long civil war is now unfurling, and with virtually no economic prospects or political guidance in sight, Tajikistan is facing an easy and quick destabilization by bordering terrorist forces -- especially along the Tajik-Afghan border by Taliban-aligned Central Asian militants. Uzbekistan is another potentially-unsettling neighbour of Tajikistan, where the Islamic Movement of Uzbekistan (IUM) has seen some its groups align with ISIS, which holds parts of Iraq and Syria. The traditional regional powerhouse of Eurasia, Russia, understands the threats Tajikistan faces in its precarious geopolitical position, and will, when needed, -- via the Russian-led organizations of the Commonwealth of Independent States (CIS) and the Collective Security Treaty Organization (CSTO) -- send joint border forces to Tajikistan to secure its borders. The last time Russian troops guarded the Tajik-Afghan border was 2005. Naturally, Central Asia is a point of contention between the United States and Russia, seeing as soon after 9/11 the US invaded Afghanistan. Furthermore, the US and the Soviet Union/Russia have a past history spanning several decades in which they've attempted to quell Afghan instability. Despite President Obama's campaign goals of removing all US troops from Afghanistan during his presidency, he announced in October 2015 that 5,500 would remain in the country until the end of his second term in early 2017 -- a necessary move for international security. If both Russia and the United States are wary of extremist militants seeping through borders and are serious about the threats to their nations, then the Assad-Syrian government transition shouldn't be the only one on their agendas; in fact, the Rahmon-Tajikistan transition is of equal importance to both Russian and American security interests. As the US bolsters Tajik military training with its CTPF fund program, Russia can bulk up the Tajik-Afghan border, and both countries can begin talks on how to safely and effectively remove President Rahmon from power. There will always be differences between the United States and Russia, but this is an issue that can't go unaided much longer. Otherwise, Tajikistan will topple completely and fall into extremists' hands, bringing terrorism one state closer to Russia, but also to the United States.